If you're a driver near Dothan, Alabama that is looking for used cars for sale in Enterprise, you're in luck, as Sam Boswell Honda has a fully stocked inventory to explore! To streamline your used Honda Pilot shopping process, our new and used dealership has made our inventory available right here on our interactive site. That means customers can explore their pre-owned options from the comfort of their nearby Ozark home before getting in touch with our professional staff to learn more about the model that has caught their eye. Our Enterprise Honda dealership is dedicated to our customers; that's why we only offer quality vehicles that have been well-maintained and are able to pass our rigorous inspections. With help from Sam Boswell Honda, used car shoppers near Dothan, AL can explore a variety of makes and models while enjoying peace of mind. To ensure you can take a used Ridgeline for sale home today, we also offer comprehensive financing services. 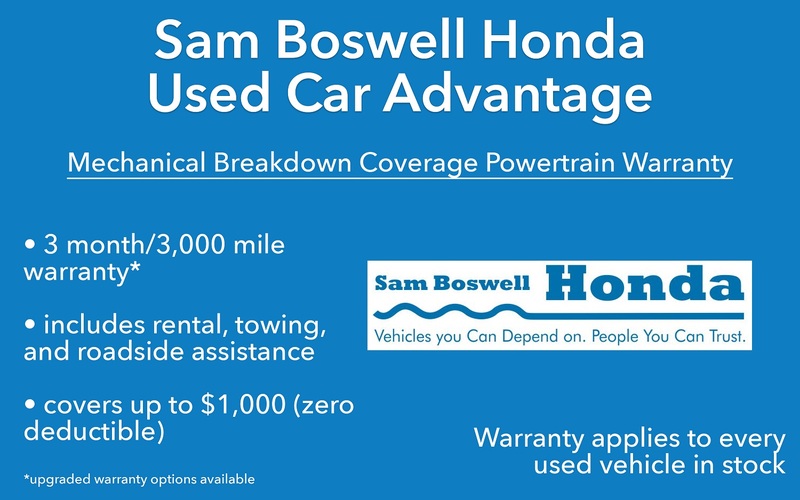 Don't hesitate to complete a Sam Boswell Honda credit application after checking out our used car selections. We're proud to be your local Honda dealer and look forward to introducing you to the high-tech pre-owned vehicle options that you deserve.